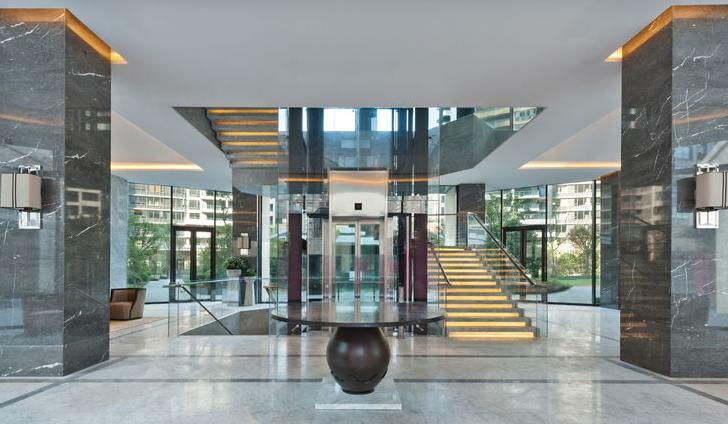 Florida commercial property insurance policies and coverage. business interruption, flood and electronic data. Insuring Buildings: Owning a commercial building requires protection on your commercial property to cover replacement costs. Most clients have a credible neutral party determine the replacement costs for all our assets. 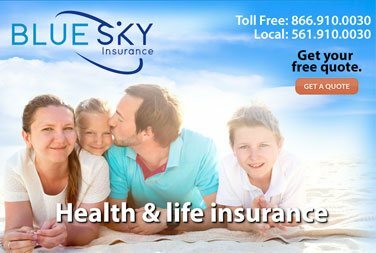 Blue Sky® will then work with you to assure your assets all fully covered. Flood Insurance: Most commercial property insurance policies do not cover loss in the event of flood. A separate policy must be purchased to protect you from resulting damage. Check your current commercial property insurance policy to be sure you are covered for flood loss. If you’re unsure, just ask us to review your coverage, and we’ll help you find the best solution. Business Personal Property Coverage: Business personal property insurance covers property such as office furniture, electronic equipment and your product inventory. If you have equipment that is frequently taken off-site to various locations, it is important that you have an inland marine policy (equipment or installation floater). 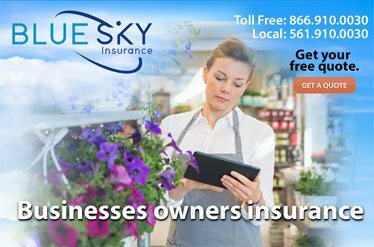 Business Income (Business Interruption Coverage): This coverage reimburses a business owner for lost profits and fixed expenses when an interruption in business occurs. When your property damage is being repaired this policy protects your loss of income. 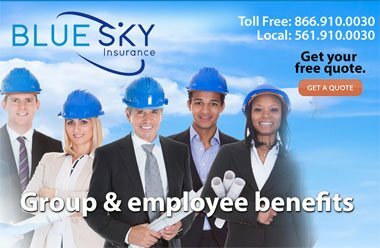 Business income insurance may also cover financial losses that occur if government authorities limit access to your place of business after a disaster. 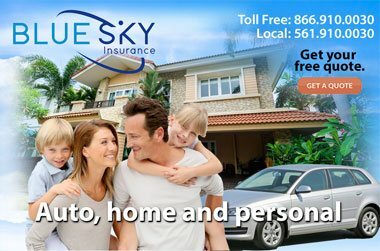 Blue Sky® recommends that all businesses acquire this coverage. Electronic Data Processing (EDP) Insurance: This coverage is separate property coverage specifically designed to protect your electronic and digital related equipment. Most commercial property policies have limited coverage for computer networks. EDP broadens the causes of loss to include things like power surges and in some cases virus attacks.